When we speak of illness, we usually mean that there is an obstacle or a block that prevents normal recovery, prevents an individual from thriving, and the state of their health is debilitating to a certain degree. Illness often affects all aspects of an individual’s life: physical body, abilities, relationships, work, behaviour, moods and attitudes, emotional and spiritual aspects of life. Each person has different ability to adapt and cope, but regardless one thing is certain: illness has an impact on life. Receiving psychological counselling/emotional support might not be on many people’s priority list and this issue is rarely addressed by primary or specialist care providers, despite mounting evidence that suggests mental/emotional health is paramount in achieving overall wellness. Nowadays, GP may be advising a patient to see a registered psychologist in their area (if there is one) and may support Medicare approved Health Care Plan (to have 6-10 funded psychology sessions a year). However, this is often not the case, nor directly requested by patients. Psychologist may be uninformed or unaware of various challenges that may present around dealing with viral hepatitis, illness and complex health issues. Psychologists of a younger age may not feel comfortable, or be unable, to relate and engage due to generational / life experience differences. There can be social stigma associated with seeing a mental health professional. It is not uncommon for some psychologists to operate from an “expert chair” perspective, whilst many clients do not feel comfortable feeling that they “have failed in life” and now “need to follow expert advice to fix it”. Many social and health researchers note there has been progress in recognising the importance of emotional and psychological health in the last two decades. As such, affected individuals and their families/loved ones should be encouraged to learn more about their health condition and to access informed support. Many who receive informed psychological counselling significantly improve their quality of life, and their ability to cope with health issues and other challenges. quality help and support can help people re-assess issues, take control, and become better equipped to make quality choices. Meditation and Relaxation and other approaches. Every individual is different and unique – no approach is universal, but the most important aspect of receiving counselling support is to have a regular access to a supportive space and a caring, well-informed / skilled person to “hold the space” for you. 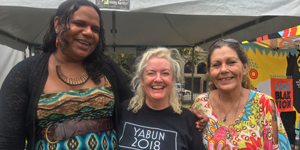 Hepatitis NSW attended Yabun Festival on Friday 26 January at Victoria Park. Kerrie, Maria and Brianna staffed a stall in a co-operative area along with KRC, Wayside Chappell, Play Safe and NUAA. We reached a good number of people, delivering significant education services, and gave out 170 show bags (packed with resources and goodies), plus hundreds of other smaller resources. We also had over 50 people complete a hep B or hep C quiz, and the opportunity to discuss and inform them within the quiz process. All up, a very successful day! Hepatitis NSW Deputy Chief Executive Rob Wisniewski is to leave Hepatitis NSW at the end of February to take up a new position in a NSW Government health service – in South Eastern Sydney Local Health District. “Rob has provided a solid foundation of support and leadership with Hepatitis NSW for the past three years, and he will be greatly missed,” said HNSW CEO, Stuart Loveday. “While it’s sad news for us at Hepatitis NSW to lose Rob from the pivotal DCE position where he has done such great work, it’s fantastic that Rob is staying on in the blood borne virus and STIs sector and moving to South Eastern Sydney Local Health District to take up the role of HARP (HIV and Related Programs) Manager. “SESLHD plays such an important role in the viral hepatitis and HIV responses in NSW, and with our close relationship with SESLHD, we will continue to work closely with Rob,” Stuart added. Rob wasn’t a stranger to Hepatitis NSW when he took up the DCE reins in February 2015. Rob first joined Hepatitis NSW as our Programs Manager in June 2012 and worked for nearly two years before taking a break to manage key projects at Cancer Council NSW. In his more senior role when he returned as Deputy Chief Executive, Rob did a fantastic job managing the service delivery and office management aspects of our work. Rob contributed greatly to our client services, people management, strategic planning and high level reporting to our funders and the community. 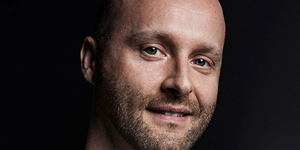 We thank you very much and send you our hearty congratulations, Rob, and look forward very much to working with you closely in your new role. You go with our best wishes. All this talk about hep C elimination got you feeling the need to skill-up on the virus? Feeling a little bit behind on your hep C knowledge and need a refresher? 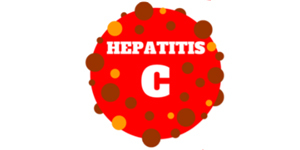 Our hep C online learning modules are here to help! With plans in place, strategies being written, treatment available for everyone, and NSPs as effective as ever, hep C elimination by 2028 is a real possibility. But it’s only possible with everyone pulling in the same direction. We’ve worked hard at Hep NSW to provide Get Bloody Serious workshops, Have A Bloody Go education sessions, the Hepatitis Infoline, our Live Chat on our website and myriad other ways to get everyone skilled-up on hep C.
Our recently launched hep C online learning modules add even more flexibility to keep your hep C knowledge up-to-date or getting a vital introduction to the virus. If you can’t find the time to get to one of our workshops or live a little too far away, all you need is 20 minutes to set aside to complete these modules. They’ll give you a good introduction to the virus, to testing, to prevention, to treatment, and everything in-between. And in the coming months we’ll have hep B online learning modules too, so keep an eye out for news on that.